The Apple iPad Air 2 is just a bit better than Samsung Galaxy Tab Pro 8.4, getting an 8.01 score against 7.84. The Apple iPad Air 2 comes with iOS 8.x OS, while Samsung Galaxy Tab Pro 8.4 counts with Android 4.4.2 OS. Apple iPad Air 2's body is newer and somewhat thinner, but heavier than Samsung Galaxy Tab Pro 8.4. Galaxy Tab Pro 8.4 has a bit better looking screen than iPad Air 2, because although it has a little bit smaller screen, it also counts with a slightly higher 2560 x 1600 resolution and a higher quantity of pixels per display inch. 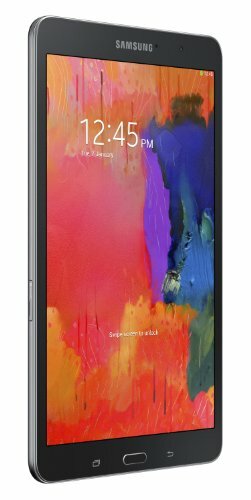 The Galaxy Tab Pro 8.4 counts with a much greater storage for apps and games than iPad Air 2, and although they both have the same internal memory, the Galaxy Tab Pro 8.4 also has a SD memory card expansion slot that supports a maximum of 64 GB. Samsung Galaxy Tab Pro 8.4 counts with a little better hardware performance than Apple iPad Air 2, because although it has a 32 bits processor against 64-bits, and they both have the same RAM amount, the Samsung Galaxy Tab Pro 8.4 also counts with a greater number of cores and a GPU. The iPad Air 2 features a much longer battery lifetime than Samsung Galaxy Tab Pro 8.4, because it has a 53% more battery size. The iPad Air 2 shoots much better photos and videos than Samsung Galaxy Tab Pro 8.4, although it has worse video frame rate, they both have a 8 MP back camera and the same (Full HD) video definition. 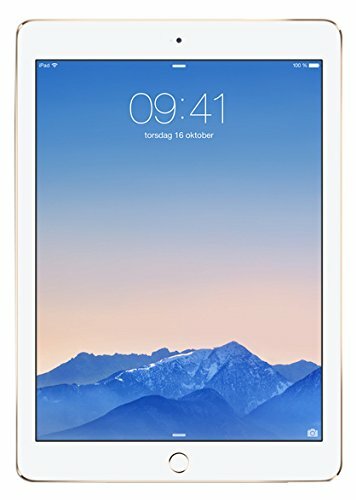 In addition to being the best tablet between the ones we are comparing here, iPad Air 2 is also a bargain compared to others, making buying this tablet an easy decision.